Hello, all! Every Wednesday for the month of May, I’ll be hopping onto YouTube Live for a quick chat with you all! 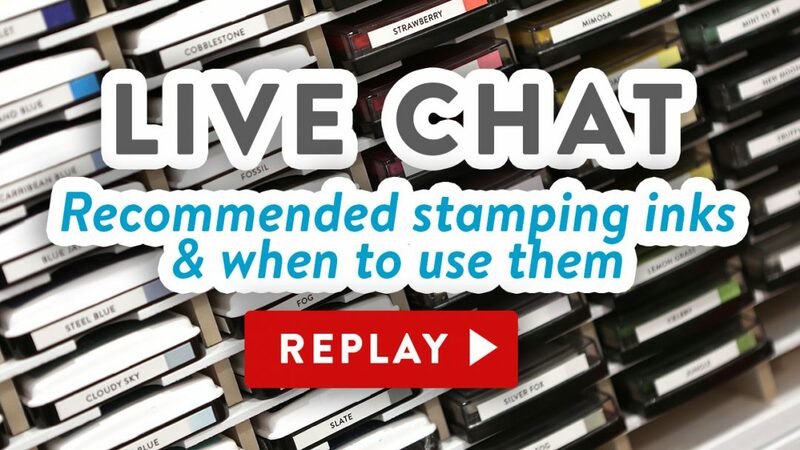 Today was the first Live Chat and the topic was Stamping Inks! Here are the times for future live chats this month. At the designated times, you can find my live chat HERE. Compensated affiliate links used when possible. Some inks were provided by a store or the manufacturer, some were personally purchased. Items below are shown in the order they are mentioned in the video. Lamy Safari Fountain Pen WINNER!